Scientists might be able to draw from new sources of cannabis compounds for research. Legal hurdles to exploring marijuana’s medicinal properties might soon fall in the wake of the US Food and Drug Administration’s (FDA) first approval of a cannabis-derived drug. Now that the FDA has approved Epidiolex, “we have a clear recognition that this plant has more potential than people credited it for, and that has reverberations that are scientific as well as legal”, says Daniele Piomelli, director of a new centre for cannabis research at the University of California, Irvine. At the very least, he says, the DEA ought to grant researchers an exemption permitting them to study CBD — especially now that people consume it and other cannabis compounds, known as cannabinoids, in states where marijuana is legal. At this point, the limits on research seem irrational, he adds. Lessening restrictions on the study of CBD would also be good news for biotech startups that have been producing cannabinoids through genetic engineering. These products could be purer and more affordable than those obtained through older methods of extraction from marijuana plants or chemical synthesis. “It’s a biochemical gold rush right now”, says Oliver Kayser, a bioengineer at the Technical University of Dortmund in Germany. Thirty states and the District of Columbia have now legalized medical marijuana. But the plant and its compounds are still illegal under US federal law, consigned to the most restricted category of substances — schedule 1. Only the few researchers who sink the time and money into complying with federal rules for handling illicit substances can work on cannabis. Far fewer barriers block research on drugs in less restricted categories, such as oxycodone (OxyContin) — a commonly prescribed opioid — or cocaine and ketamine. But even researchers who have permission to work on cannabis are restricted to one main supplier. The only facility in the United States certified to provide them with cannabis and its extracts is the University of Mississippi in Oxford. Scientists can also request permission to study a small number of synthetic cannabinoids from pharmaceutical companies, but some say these sources are too limited or expensive to be of use. “It takes a great deal of endurance to study cannabinoids,” says Ziva Cooper, a neuroscientist at Columbia University in New York City. In February, Cooper and her colleagues reported1 that people who smoked marijuana sourced from the University of Mississippi, and who took half the typical dose of oxycodone experienced similar pain relief to people who took only the full opioid dose. To find out whether this combination might enable doctors to prescribe lower opioid doses — and therefore reduce the risk of opioid addiction — Cooper would like to conduct a larger trial. But she has yet to get approval for the study because of restrictions on marijuana research. If legal barriers fall, scientists will want to explore high-quality cannabinoids produced through various means. Marijuana compounds made using genetically engineered bacteria and yeast may help meet the demand. Kevin Chen, head of the biotech company Hyasynth Bio in Montreal, Canada, says that researchers have expressed interest in buying the company's engineered CBD as soon as it scales up production. 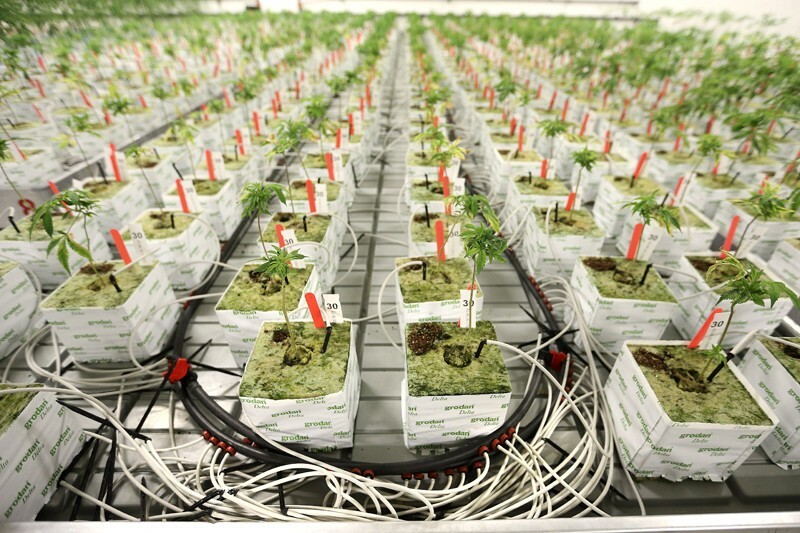 In May, a Canadian medical-cannabis company, Organigram in Moncton, announced its intent to invest Can$10 million (US$7.6 million) into Hyasynth to help boost manufacturing. If the DEA decides to remove only Epidiolex from the list of schedule 1 substances, and not CBD generally, researchers in the United States might not be able to take advantage of these companies’ products. Instead, the substances will flow to laboratories in Canada, where medical and recreational marijuana will be legal as of 17 October. Or, research might sprint forward in Germany and the Netherlands, where Kayser says scientists face few barriers to studying cannabis. Anticipating a demand, he has a patent pending in Europe on the production of cannabinoids in engineered yeast. Cooper, Z. D. et al. Neuropsychopharmacology https://doi.org/10.1038/s41386-018-0011-2 (2018).